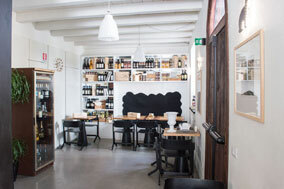 A beautiful corner of Monforte, an excellent wine cellar, genuine and tasty selection of local food to pair with wines, large and picturesque summer terrace and covered outdoor area for the mid-season. A true celebration of the Langa's enogastronomy, masterfully led by Silvia, professional and passionate affable hostess. Great new year party 31 December 2015! Open every day from 11 am to 11 pm. Closed from 7th of January to 7th of February 2018. Located in the main square of Monforte d'Alba, Caffè Rocca is a typical restaurant where you can taste the atmosphere of the country and the local products. 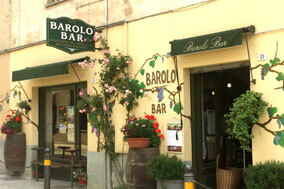 It offers gluten-free cooking and an extraordinary cellar with the best local wines. Closed on Wednesday. Closed from 23 December 2015 to 7 January 2016. 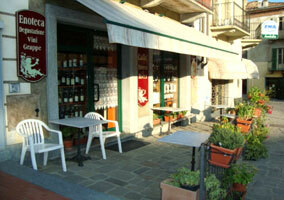 The Locanda della Contessa Berta, managed by young and dynamic Valentina, is open from morning to evening. She starts with sweet and savory breakfast, going on the lunchtime with an aperitive until the evening tasting the best wines of the territory. Red, white and sparkling wines good to satisfy the palates of all.